With practical tools, advice, and encouragement, it is designed to guide, encourage, and uplift you every day of the year. Readers will be inspired daily to discover the eight traits of success from a new perspective as they are challenged by insightful reflection questions, motivated by specific calls to action, and inspired by relevant Scripture verses. Audiobook-Audio CD-Daily Readings From You Can You Will (Unabridged) (3 CD) by Osteen Joel was published by FaithWords/Hachette Book Group in October 2015. 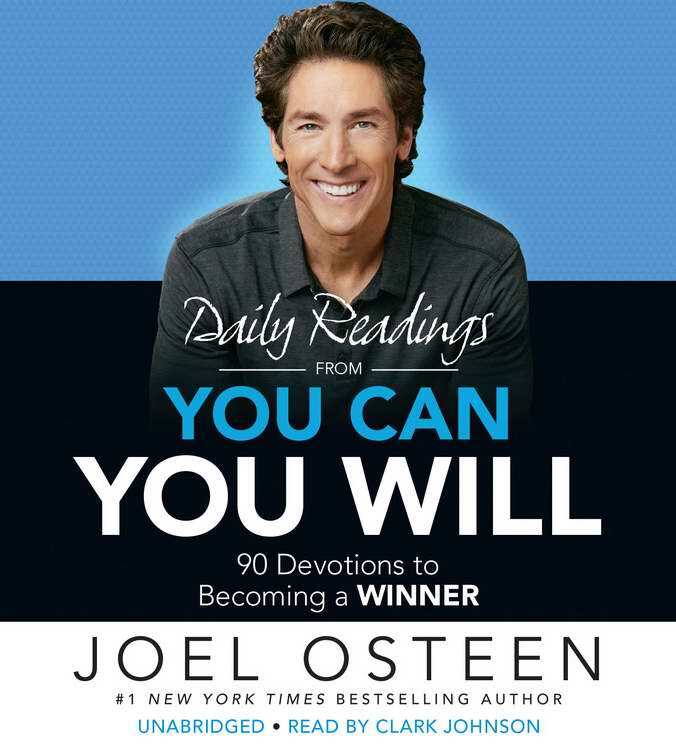 The ISBN for Audiobook-Audio CD-Daily Readings From You Can You Will (Unabridged) (3 CD) is 9781478959953. Be the first to review Audiobook-Audio CD-Daily Readings From You Can You Will (Unabridged) (3 CD)! Got a question? No problem! Just click here to ask us about Audiobook-Audio CD-Daily Readings From You Can You Will (Unabridged) (3 CD).